The glass work is amazing-- not only the flow of colors but particularly the replica of the human heart. That heart is spectacular! Thanks for hosting. I couldn't tell the human heart one, thought it was a pig. Maybe it's a pig heart? 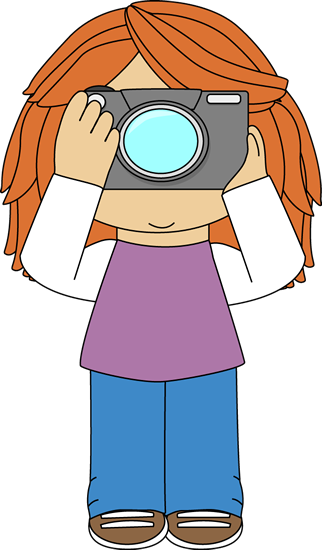 Excellent subject for a colorful set of photos. Blown glass is so beautiful and I love to watch it being made! There are amazing glass blowers, I love Chihuly glass, it is amazing! Have you ever seen that? such a beautiful collection of blown glasses. Look at the brilliant colors.. 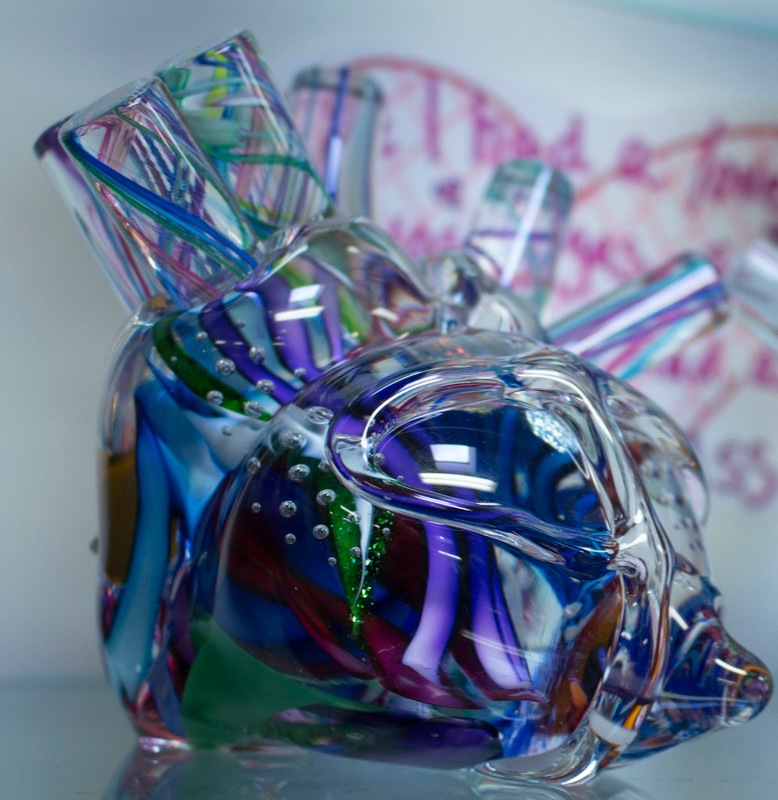 The human heart in glass is a special Highlight in this Post! Beautiful blown glass. I love to watch how they are made. 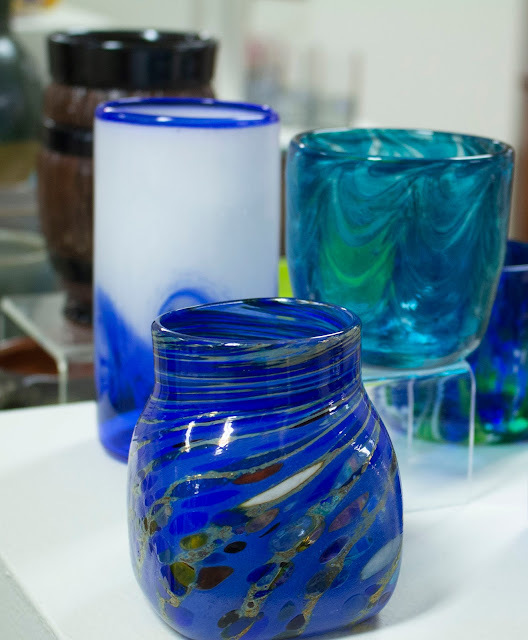 I love blown glass - such a marvel! 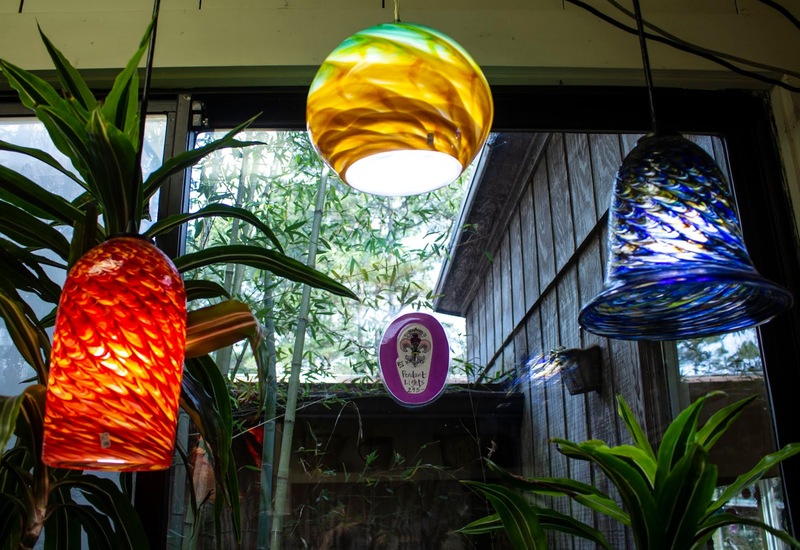 Blown glass is so special as are your pictures! So beautiful glasses, a special Art - I like it! Some beautiful glass - not keen on the heart, mind you! The process of making that beautiful glass is amazing. Beautiful pieces. I love glass art! Thanks for sharing these pics and always hosting a great hop! especially i like the blue glasses ! Those are so beautiful! That model of the human heart is amazing. Such talent! Thank you for sharing, Sue! And happy Wednesday! Looks like the Murano glass, near Venice beautiful ! Lovely decorations pieces of blown glass. The human heart replica of glass is really a painstaking work of art! 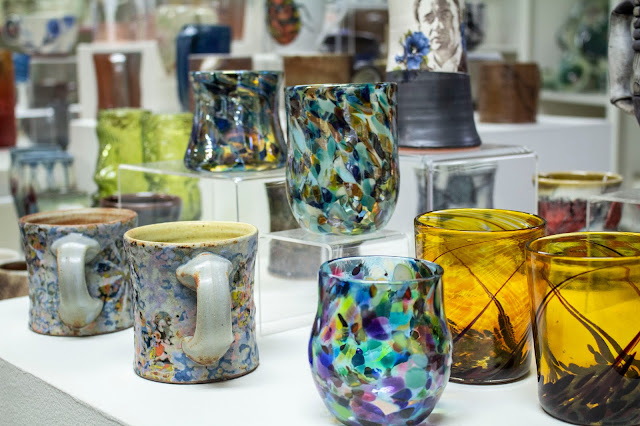 The artistry of blown glass always fascinates me. Very nice images of a beautiful art. Have a blessed week. Such gorgeous pieces! I am partial to the blue ones! Have a great week! I would like to learn how to make lampwork beads....ahh...someday! The glass is so beautiful. Sorry that I am so late. Thanks for hosting and I hope that you are having a wonderful weekend.